If there is a stigma associated with maternal perinatal mood disorders, there is complete disbelief associated with paternal perinatal mood disorders. Did you know that dads can suffer from these same illnesses as mothers? I didn't before I started researching for this campaign. I always just assumed it was a club exclusive to biological mothers, but this is absolutely not the case! Many mothers that I have spoken with often express a lack of empathy by their male partners, but I had never considered that they could be suffering as well (and I'd be shocked if the mothers had either). While mothers are expected to form a fierce bond with their child and typically be in their presence, fathers occupy an uncertain territory. On the one hand, their partners often expect that they actively care for the baby as much as they are able to. Diaper-changing, baby-dressing, bottle-feeding, park-going, babywearing daddies are lauded in mainstream and social medias. But if a dad is emotionally or physically distant, it is excused with little regard for how the father may be feeling about that distance. "Well, somebody has to work." "You can't expect him to take the baby when he's been at work all day." "He's not the mom." No, he is not. He is the father and occupies a unique place in his own right. By no means does that negate his emotional needs. Without getting into a lengthy discussion on the systematic suppression of male emotion, it's important to recognize that the dad may not even realize what is happening. A great deal of women who suffer from a postnatal mood disorder (PMD) don't realize what is happening until it is behind them, and the same is true for men, if not more-so. Paternal postpartum mental health is rarely discussed in childbirth books or parenting books, so neither the father nor the mother may even be aware that such issues exist and men do not have postnatal checkups from medical professionals. This doesn't mean that fathers who may be distant must be suffering from a PMD, just that someone does not need to gestate or give birth to a child to suffer from a postpartum mood disorder. We must remain mindful that you cannot use other individuals as a yardstick for what is or is not a mood disorder, though. Specifically, I mean to say that just as two mothers can act identically but one might suffer from a PMD and the other does not, the same applies to fathers. So you cannot assume that just because your partner doesn't want to babywear or spend a lot of alone time with the baby, then they must be suffering from a PMD. The reason for this campaign is to break the stigma, but at least we know about these issues. Fathers first have to overcome the ignorance of paternal PMD, then overcome the stigma in order to speak about it. A PMD can be associated with the loss of a previous child, infant temperament, marital dysfunction and even a perception of inefficient parenting. (1) A father might be distant from his child because he believes he is supposed to be more distant, but he may be distancing himself because his emotional health makes him think that he needs to be distant in order to ensure the best outcome for his child. If you are a man and are reading this, please bear in mind that any of the signs we talk about in the campaign, exist for you as well. Though the triggers may be different, the pain is still the same. While postpartum depression is not exclusive to the mom, paternal postpartum depression can be correlated to it, meaning if your partner is suffering from a PMD, keep an eye on yourself, too. In a study published in 2005, it was reported that paternal postpartum depression was present in 40% of men whose partners were severely depressed. That means that they were also evaluated as having some form of depression themselves (as the authors were evaluating depression). (2) If you are a woman who is suffering from a PMD, keep this heightened risk in mind. Your partner may not be providing the support you want because he is unable to. Speak with one another candidly. Encourage each other to seek the help that you each need and deserve. 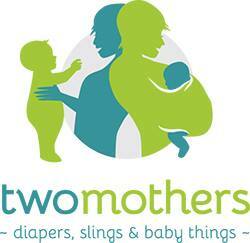 Just as it is for mothers, babywearing can be a resource for fathers as well. It can stimulate the production of oxytocin in his body and enrich a bond, especially when baby is worn skin to skin. This oxytocin release becomes a cycle; by experiencing the hormonal release, the father is encouraged to wear more often, which in turn, will stimulate the production of more hormones. Bonding through babywearing can be initiated after the newborn stage as well, but if you are not the father, take care when encouraging him to babywear so that it is not seen as a criticism of his parenting. If you are the father and are worried that there is a lack of support or community for babywearing men, do not dispair. There are several popular paternal babywearers including Slingadad Dom, Danny the Babywearing Dad, Babywearing Dads Down Under, and the husband and wife team of The Dukes - Babywearing Photography, not to mention the Bearded Men Babywearing Calendar!